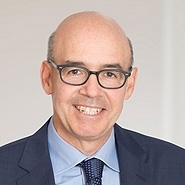 Patterson Belknap is pleased to announce that Saul B. Shapiro will serve as Chair of the firm’s Litigation Department, a group of more than 125 lawyers. Mr. Shapiro’s practice focuses on complex commercial litigation and intellectual property disputes. He is an experienced appellate lawyer, and has conducted numerous internal investigations. Mr. Shapiro is also Co-Chair of the firm’s Media and Entertainment practice. Mr. Shapiro graduated from Yale Law School, J.D. where he was editor of the Yale Law Journal. After law school, he clerked for the Hon. Robert L. Carter in the Southern District of New York, before joining Patterson Belknap. 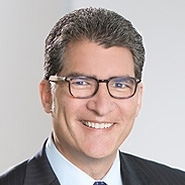 Mr. Shapiro succeeds Steven A. Zalesin, who has chaired the Litigation practice since 2008. Mr. Zalesin is a nationally recognized trial lawyer with extensive experience in intellectual property and complex commercial matters. He will continue to serve on the firm’s management committee. Robert P. LoBue, Co-Chair and Managing Partner, said "The firm thanks Steve for all of his efforts as Chair of the Litigation Department and appreciates his many contributions. We look forward to Saul's service in this important role."